The Woodlands Concert Band (est. 2000) is a volunteer organization of approximately 90 musicians. Our purpose is to provide an opportunity for adults to continue to perform beyond high school/college, and pass on the enjoyment of live music to the members of our community. The band is comprised of members from a wide range of backgrounds and ages. This year, in addition to performing themed concerts in October, December, April and June, the band will play a joint concert with the Carrollton Winds in Dallas, play a Sunday service for Christ Church United Methodist and Trinity Klein Lutheran Church, perform our annual “marches” concert to kick off the 4th of July parade at Market Square in The Woodlands and as one of two community bands selected in the country, perform at the Midwest Clinic in Chicago, IL this December. As part of the band charter, there is never an admission charge for concerts. The band is funded through member dues and generous donations from individuals and organizations in the community. A unique activity of the band has been a festival where community band members come together for a day under the baton of a celebrated conductor, rehearse all day and give a concert that evening. At least 20 different community bands have been represented in each of the six years of the Bayou City Community Band Festival. Festival conductors have been Richard Floyd, John Whitwell, Gary Garner, James Keene, Frank Wickes, Fred Allen and Paula Crider. Profit from the event supports two scholarships given to graduating seniors from area high schools who will continue to play their instruments in college. Zachary Barnett, senior trumpet member of the Stratford High School Band. He played the first movement of the Haydn Trumpet Concerto. He performed with the Woodlands Concert Band in June, 2017 and receive a $500 cash prize. The Woodlands Concert Band is a member of the Association of Concert Bands, an organization dedicated to the promotion of adult community bands. The band helped host the 2009 ACB Convention in Houston and performed for that convention. Under his baton, the Klein Forest Symphonic Band has been featured at the Midwest Clinic in Chicago (1984) and received the Sudler Flag of Honor (1997). Selected to the Bands of America Concert Festival (1993, 1997), the band has also performed in Carnegie Hall (1999, 2003, 2007, 2013). The National Association of Recording Arts and Sciences recognized Klein Forest as the GRAMMY National Signature School (2003) for the #1 music program in the country. Paul served on the State Board of the Texas Music Educators Association as President of Region IX for twenty-one years. He is also a member of the National Band Association, Texas Bandmasters Association and the Texas Music Adjudicators Association. He is a Past President of the Alpha Chapter of Phi Beta Mu and is currently Immediate Past President of the International Executive Board. Selected to the Band World Legion of Honor (1997), Paul was selected as the Secondary Teacher of the Year for the Klein Independent School District (2006) and awarded the Lifetime Achievement Award from the H.E.B. Excellence in Education Foundation (2008), one of five teachers honored in the state that year. Chairing the committee to revise the Texas Prescribed Music List (1989-93), he was involved with developing a selective music list of marches and revising the concert list for the National Band Association. He has twice been awarded the National Band Association “Citation of Excellence”. Paul is an adjunct faculty member for Sam Houston State University as a University Supervisor, overseeing 10-15 student teachers a year for the College of Education. He also currently serves on the seven member Prescribed Music List committee for band UIL activities. 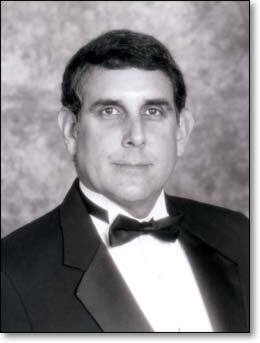 Paul is a frequent clinician and adjudicator for marching and concert bands, having served on state championship marching panels for Texas, Louisiana and Nebraska. In January 2009, Paul assumed the position of Music Director of the Woodlands Concert Band, an adult community band north of Houston, Texas. In addition to an active concert series every year, under his baton, they have performed for the ACB National Convention (2009), the Texas Bandmasters Association Convention (2015), and the Midwest Clinic, Chicago, IL (2018).